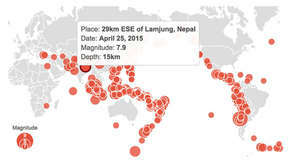 Big earthquakes on either side of the world cause concern about building protection. THE giant tectonic plates which make up Earth’s outermost layer are always on the move, sliding past and colliding with each other. This creates plenty of seismic activity, especially in the area around the Pacific Ocean known as the “Ring of Fire”, which accounts for some 90% of the world’s earthquakes. On April 14th a magnitude 6.2 tremor shook Kumamoto prefecture on the southern Japanese island of Kyushu. Then, in the early hours of the morning on April 16th, a magnitude 7.0 quake struck the same area. On the same day, on the opposite side of the ring, a coastal region of Manabí and Esmeraldas provinces in Ecuador was shaken violently by a magnitude 7.8 quake—15 times stronger in terms of the energy released than the second Japanese quake. In Japan more than 40 people died; in Ecuador the death toll is expected to exceed 525. The greatest risk posed by earthquakes on land comes from buildings collapsing. Whether or not they fall down depends both on circumstance and on how they are built. This was evident in both disasters. In Ecuador, traditional homes made largely from bamboo withstood the quake better because of their flexibility. The more affluent, living in buildings made of concrete, were less lucky as walls, floors and roofs collapsed (as pictured above). In Mashiki, a town hard hit by the two Japanese earthquakes, dozens of traditional wooden homes collapsed, along with the community’s Buddhist temple and Shinto shrine. But among them stands a more recent house that remains unscathed, rather like a gleaming tooth among otherwise rotten gums. Inside, recounts its relieved elderly owner, her cups and saucers were flung around but the house stood firm. That solitary house underlines one of the most successful ways to protect against seismic activity. The most important part of Japan’s approach remains its stringent building code, says Naoshi Hirata of the Earthquake Research Institute (ERI) at the University of Tokyo. For decades Japan has tightened its construction codes—by now the world’s strictest—and supported other innovations in quake-proofing construction methods. All buildings constructed after 1981 had to be sturdy enough to withstand collapse in an earthquake with an intensity of “upper 6” or higher on the scale used by the Japan Meteorological Agency (which measures shaking at individual points whereas magnitude measures the size of an earthquake). The regulations were strengthened again after the quake that hit Kobe in 1995, which had a magnitude of 6.8. Those building regulations have sharply reduced both the rate of collapsed structures and the risk of fires spreading. When the March 2011 earthquake struck off the Pacific coast of Tohoku it was the ensuing tsunami that wrecked the coastal region, setting off a nuclear meltdown at the Fukushima Dai-ichi nuclear-power plant. Most newer buildings withstood the shaking, which was somewhat attenuated by the time the seismic waves reached land. Ecuador introduced stricter seismic regulations of its own after the Haiti earthquake in 2010. But there are problems. Hugo Yepes, a geophysicist at the National Polytechnical University in Quito, complains that builders and developers have been largely ignoring them and that local officials have effectively “legalised” informal new neighbourhoods without insisting on anti-seismic standards. 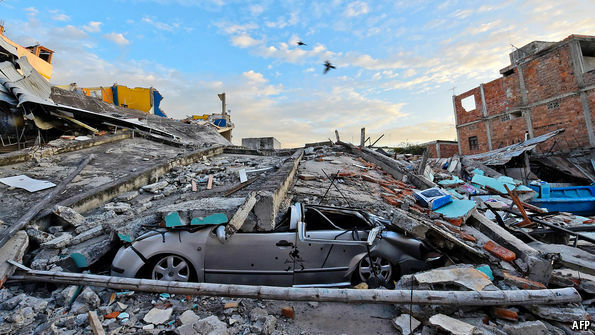 When visiting the area, Rafael Correa, Ecuador’s president, said building standards had to be applied with greater rigour to avoid a similar scale of destruction in the future. Yet, as the scene in Mashiki shows, even the world’s centre of excellence in earthquake technologies can still suffer a lot of damage. Around a fifth of buildings across Japan predate the stricter codes introduced in 1981. It was chiefly such buildings that collapsed in Kumamoto prefecture, many of them in the first quake. The loss of life will inevitably direct attention towards the deadly consequences of a giant earthquake striking the Tokyo area. Another fearsome scenario is a shock from the Nankai Trough, a large offshore fault. A magnitude 9.1 earthquake and a resulting tsunami could kill 323,000 people in the very worst case scenario, Japanese government scientists said four years ago. In the mid-1970s experts were also convinced that a large quake would hit part of the Nankai Trough in a region known as the Tokai area, stretching from Nagoya to Shizuoka. There, an elaborate system of seismographs and devices to measure minute swellings and shrinkage of local bedrock are still testament to a belief that reliable earthquake precursors can be found. Some experts even call for levels of wells to be monitored, since tectonic friction is thought to drain water from their depths. Japan is not the only place to worry about a “Big One”. In Los Angeles, computer simulations of a magnitude 7.8 quake on the southern end of the San Andreas Fault suggest the city centre there would shake for 55 seconds, causing some 2,000 deaths and 50,000 injuries. The Los Angeles blueprint for survival, announced in 2015, seeks to solve what is that city’s greatest vulnerability: a lack of progress in reinforcing buildings. But determining who pays for the work is making just as little progress. 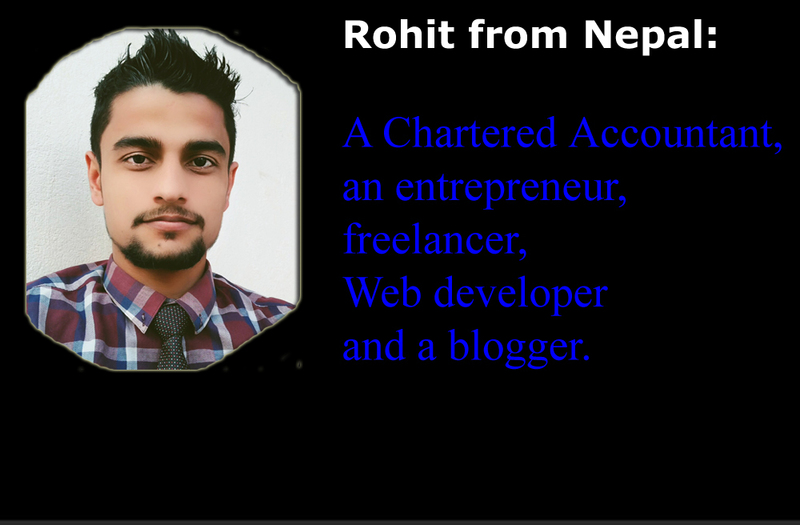 Many scientists are sceptical about the prediction business. All of Japan’s recent big earthquakes have occurred in regions other than the Nankai Trough zone or under Tokyo, which are said to be at greatest risk according to the government’s official models of earthquake-hazard areas. Government researchers’ models missed the 2011 Tohoku earthquake despite the fact that quakes and accompanying tsunamis have frequently struck there in earlier centuries. The Japanese government’s hazard map tends to lull people in supposedly lower-risk areas into a false sense of security, says Robert Geller, a professor of geoscience at the University of Tokyo. The map assigned a relatively low probability to the likelihood of an earthquake on Kyushu. That may be one reason why the first nuclear plant in Japan to start operating since the very last one was shut down in 2013 following the 2011 disaster is located at Sendai in Kagoshima prefecture. This week the nuclear regulator declined to shut down that plant, which is nearly 100 miles away from the earthquakes’ epicentre, despite calls from citizens’ groups to do so. Yet if the system eventually succeeds in predicting just one big earthquake, argues Yukitoshi Fukahata of the disaster-prevention research institute of Kyoto University, the gain would be immense. A well-functioning part of Japan’s regime is its real-time warning system, which sounds after a quake occurs but before seismic waves arrive at more distant places. It can give seconds or even over a minute for people to react and it too has significantly improved since 2011, scientists say. In the recent quake it meant that the Kyushu railway company was able to stop or slow nine shinkansen high-speed trains just before the ground began shaking (only one empty train was derailed). The limitation of the system is that it gives little or no warning to those directly above an earthquake. At sea, much effort has also gone into building 150 new ocean-floor monitoring stations to detect tsunamis forming. For now, a minute or so of warning is about the best anyone can expect in an earthquake zone. Designing buildings to be flexible enough to survive the violent side-to-side swaying that a tremor brings is therefore the priority—although, as Ecuador shows, the real difficulty is enforcing construction rules. Living on the Ring of Fire will remain a precarious business.